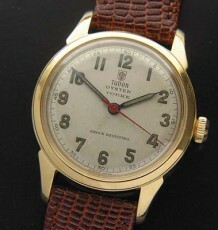 Home/Shop/Tudor/Tudor Prince Oyster Pie Pan dial, New Old Stock. The collection of Tudors I have recently posted have to be the only NEW vintage Tudor Prince Oysters available on the market at present. 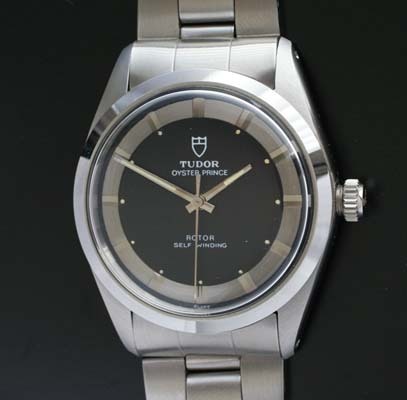 The watch has been stored for the last 30 years and is still like new, even the Tudor automatic wind movement which has been untouched since leaving the factory. 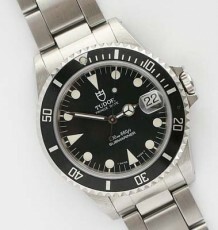 The watch is a standard sized model, ref 9020/0, with the desirable 2-tone black and silver “Tuxedo” piepan style dial. 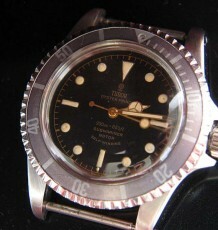 The watch is fitted with a fully signed Tudor/Rolex folded link 19mm bracelet. This is truly a once in a lifetime find! 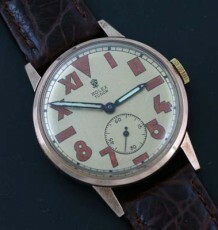 The watch measures 34.5mm wide (excluding the crown) by 41mm long.